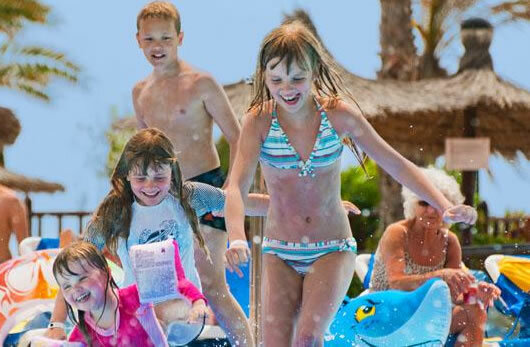 Holidays to the Elba Sara Fuerteventura are fulfilled by 4 star luxury and a beach front position just outside the popular resort of Caleta de Fuste. 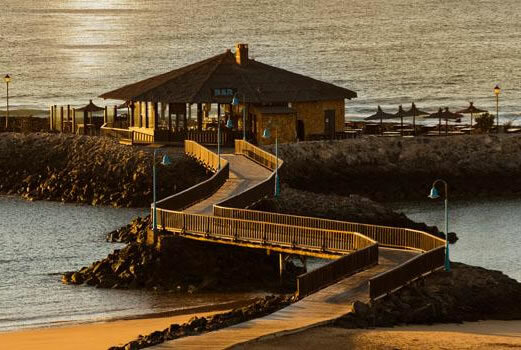 Its idyllic beachfront location is great for sunbathers and golfers will be pleased to note the hotel is opposite the island's main 18 hole golf course too! 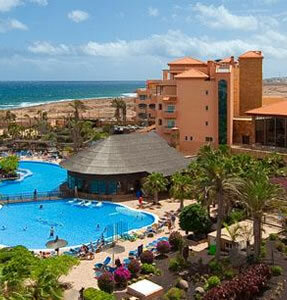 From the airport to the beach doesn't take long as it is only 10-15 minutes by taxi from Fuerteventura's airport. This popular hotel offers a choice of board arrangements including all inclusive and is suited to people who enjoy the home comforts of a modern 4* hotel. It is welcoming to golfers, couples and families alike and the year round tropical temperatures make the Elba Sara a good choice for summer or winter holidays. The Elba Sara has 266 bedrooms with twin or double beds the majority of which have excellent sea views, all the rooms are well equipped with bathrooms that have hairdryer bath and shower, air conditioning, satellite TV, mini-bar, room safe, telephone and balcony or terrace. 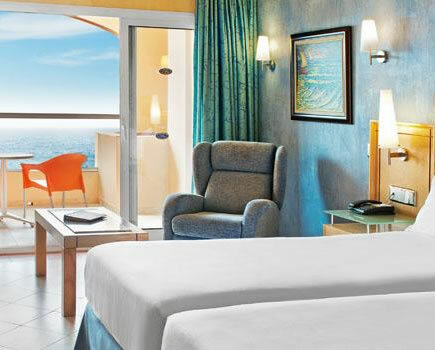 In addition the hotel has 9 junior suites and 8 larger suites. Some of the rooms have been designated non-smoking and there are also some rooms available for guests with disabilities. The Elba Sara provides its guests with 2 restaurants, the main restaurant has a buffet style and offers theme events and show cooking; it has an excellent terrace for al fresco dining that generates an excellent atmosphere with views of the Atlantic Ocean. 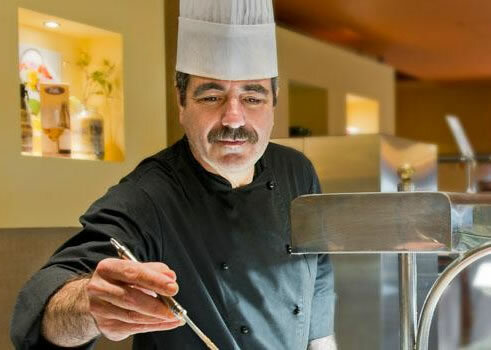 In addition the hotels other restaurant provides guests the opportunity for a la carte dining. There are 3 bars including the pool bar, the cafeteria piano bar and in the evenings guests can relax in the lounge bar where live shows are provided several times a week. Situated next door to the hotel is a large commercial centre that hosts a supermarket, several interesting shops and boutiques, a choice of cafes and bars and a zone for teenagers with slot machines computer games and rides, a multi-screen cinema and a bowling alley. There are plenty of things to do for the more active in the local area, you can play golf, jet ski, windsurf, sail, go mountain biking, scuba dive or go deep sea fishing.